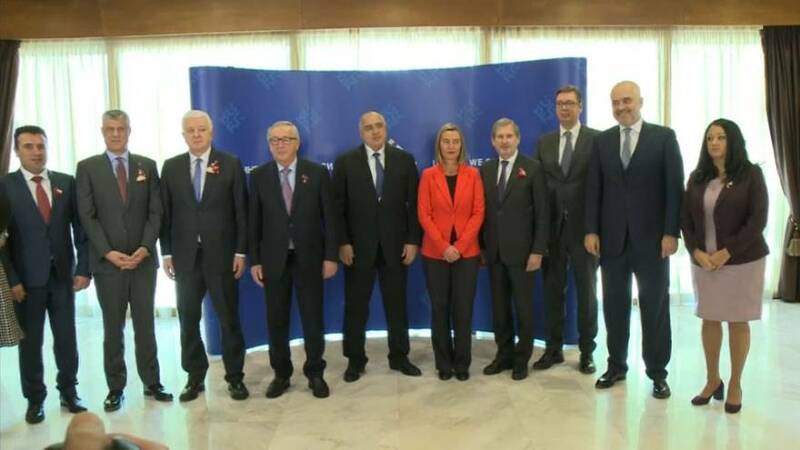 Leaders from the Western Balkans have said they're determined to implement a wide array of reforms as a prerequisite to joining the European Union in the future. European Commission President Jean-Claude Juncker told reporters on Thursday in the Bulgarian capital of Sofia that the EU remained "strongly engaged" with enlargement towards the region. After a whirlwind tour this week to six countries hoping to join the EU, Juncker said "the Western Balkans have a place in the European Union". However, he cautioned that none of the six - Albania, Bosnia-Herzegovina, Kosovo, Macedonia, Montenegro and Serbia - currently comply with the conditions necessary to join. While some countries have a realistic chance to join by 2025, Juncker said they would need to undertake political reforms, fight corruption and organized crime as well as resolve outstanding conflicts with neighbours. So far, formal EU accession negotiations have only been held with Serbia and Montenegro. Bulgarian Prime Minister Boyko Borissov, whose country holds the rotating EU presidency, also said the region should take advantage of the momentum and focus on the real construction of corridors between our countries: transport, energy, digital. He said the financing of concrete infrastructure projects will be put on the agenda of an EU-Western Balkans joint summit in Sofia in May.